Why Choose Us? We Care. At the law firm of Krueger & Juelich PLLC, in Minnetonka, Minnesota, we are dedicated to providing high-quality legal representation. We offer experienced legal guidance and advocacy in matters of family law and estate planning. Whether you are involved in a divorce or another family law issue, or you need to draft a will, trust or power of attorney, you can count on us for responsive and results-oriented legal counsel. As a team, we combine a wealth of professional experiences that help us better advocate for the best interests of our clients – whether the issues at hand are straightforward or complex. More than just attorneys, we are problem solvers. Instead of jumping to conclusions or proposing formulaic solutions, we take the time to review the details and understand our clients’ unique issues and goals. With a comprehensive understanding of what’s at stake, we explore all possible options for reaching a timely and effective resolution. We know that going to trial is not always the right move for our clients and their families. In order to save our clients time, money and stress, we often resolve family law disputes outside of court, through alternative dispute resolution methods such as mediation and negotiation. However, we are prepared to fight for your rights and interests at trial if necessary. You can rely on our law firm for strategic and personalized legal counsel for your family law and estate planning needs. Our emphasis on communication, advocacy and creative problem solving has helped us achieve successful outcomes on behalf of our clients time and again. Firm partner Sherri L. Krueger was selected for inclusion in the Minnesota Super Lawyers Rising Star list in 2011, 2012 and 2013, a designation given to no more than 2.5 percent of attorneys in the state. She was also selected for inclusion in the list of Minnesota Super Lawyers in 2014 and 2015. Partner Elizabeth L. Juelich was selected for inclusion in the list of Minnesota Super Lawyers Rising Stars in 2012, 2013, 2014 and 2015. 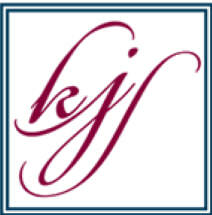 Contact Krueger & Juelich PLLC, today to schedule a confidential legal consultation. We represent clients throughout the 7-County Metropolitan Area from our office in Minnetonka.